LVMH is a luxury fashion powerhouse. The encompassing house hosts jewelry brands like Bulgari and Chaumet, as well as many other couture and luxury fashion and accessories brands, and now it can add Repossi to its repertoire. Now run by great-granddaughter to the founder Gaia Repossi, the brand was created in 1920, so this collaboration comes nearly 100 years after the conception of the brand. Gaia has made the announcement that she will carry Repossi Jewelry to the young designer stable of LVMH. It’s great to see a business that has stayed in the family for such a long time, and even greater than each member has the same unique talent of jewelry design. Repossi took over the family brand back in 2007, and has since proved that she knows how to design for women like her everywhere. She has a voice that is clear in her work, and she creates pieces she and others with the same boho artistic vibe love to buy and wear. There is a distinct care to detail placed in Repossi’s designs, with small, intricate designs and a small, but still noticeable, amount of sparkle on top of it all. 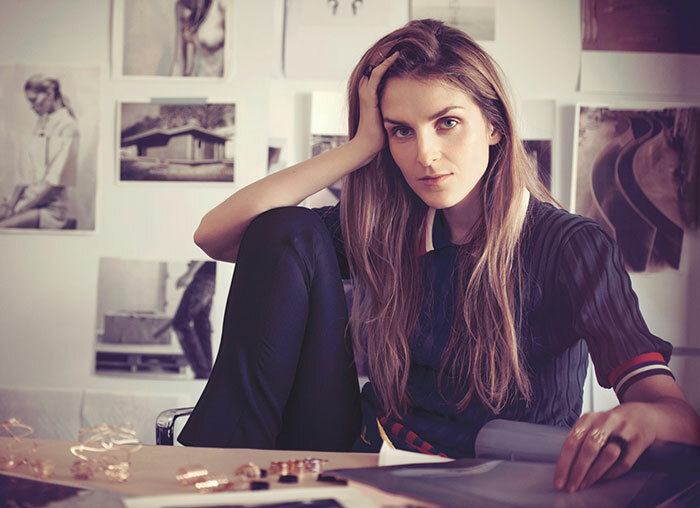 Everything alludes to her bohemian leanings, and gives luxury jewelry a breath of fresh air. She has also proven that she will not forget the brand’s heritage. Despite the modernist designs, there are still elements of Old World practices. Much of the Repossi jewelry is made in the same ateliers that were used in the 1920s, giving the still-modern jewelry that mystique of agedness. Coming at the cost of a minority stake, Repossi aims to compile a new strategy plan with this collaboration with the conglomerate, and hopes to see her company grow in the future. According to WWD, Delphine Arnault, executive at LVMH Louis Vuitton and family friend of Repossi, is at the helm of this deal. This relationship allowed Repossi to thrive with this deal, since she had the benefit of personal-level trust on her side. Although the brand faces this change of scenery, Repossi looks forward to the help that will come from the investment. She doesn’t have plans to change the niche of the brand, so there will likely not be any earth-shattering alterations in the near future. But we can, however, expect to see much, much more. Repossi is clearly going into this business transition with an open mind and clear head, and the collaboration with this established conglomerate may prove to help this business continue its success very soon, and we can also look forward to the impending expansions the brand will face in the near future. But for now, we can only congratulate Gaia Repossi for taking this step, and joining LVHM Group, a booming fashion powerhouse for the betterment of her family’s company.